Steinkopf is a small town 90 km east of Port Nolloth and 50 km north of Springbok in the Northern Cape Province of South Africa. The town was founded by reverend Heinrich Schmelen of the London Missionary Society in 1818 at a spot where the Khoi Khoi had settled previously. The place was called 'Tarrakois' which means 'a peculiar girl' and it was later renamed after Doctor Karl Steinkopf of London who donated money for the new missionary station. The town lies in the dry and mountainous Richtersveld semi-desert, but with a slightly greener touch. The Mountain ranges of the nearby Richtersveld National Park can be seen in the distance. For more information contact the chairperson of the Steinkopf Tourism Forum. 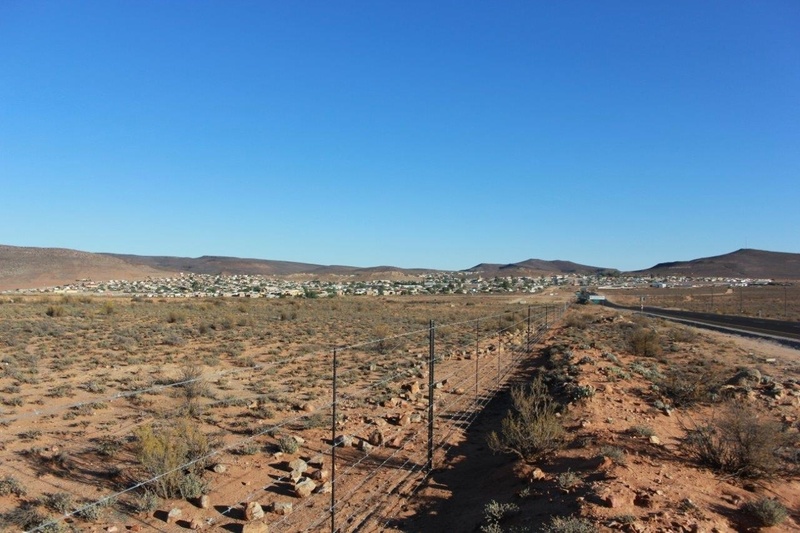 Steinkopf lies on the N7, 50 km north of Springbok and 65 km south of the Namibian border post at Vioolsdrift. The R382 from Steinkopf takes you east to the coastal town of Port Nolloth with turnoffs to Lekkersing and Eksteenfontein that take your cross-country to the Richtersveld National Park. Halfmens/succulent. Walking and flower tours. Visit 'Kinderle'. A historical sacred mass grave of 32 Nama children or 'Klipfontein'. An old water tower and Anglo Boer War graves of British soldiers. Visitors to the town can stay in guest house, self-catering rondavels or B&B. (Sept-16). 24hr petrol station at a BP fuel stop or Excel fuel stop in the town. (Sept-16). There is a surgery and ambulance service here. There is no Hospital in town but there is the Steinkopf Clinic. Contact : +27(0)27 721 8321. There is a post office in the town, an ATM and a community hall. (Sept-16). The Steinkopf High School Choir sings songs in Nama, Xhosa, German and Afrikaans.